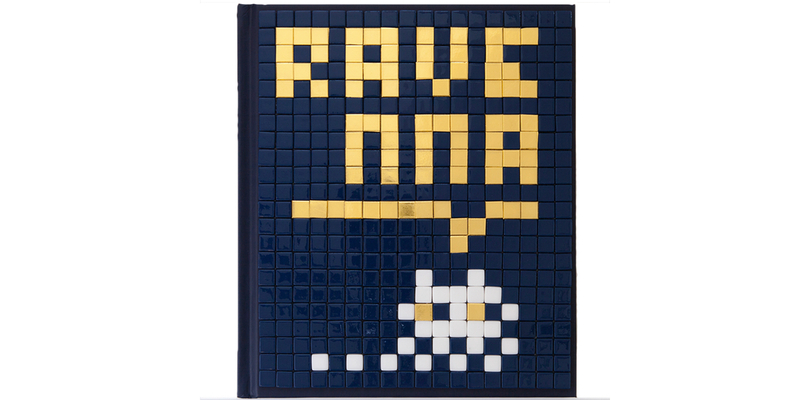 Invader "New Mosaics of Ravenna"
Over The Influence proudly announces the exclusive preview of the 25 deluxe edition of the book New Mosaics of Ravenna by internationally renowned French artist Invader. New Mosaics of Ravenna is the artist’s 7th Invasion Guide, following the success of Paris, Los Angeles, London, Rome, Miami and Hong Kong. The brand-new Invasion Guide embarks on a journey to the capital of mosaics – Ravenna, a city situated in northern Italy acclaimed for its Paleo-Christian mosaics dating back to the 5th and 6th century. 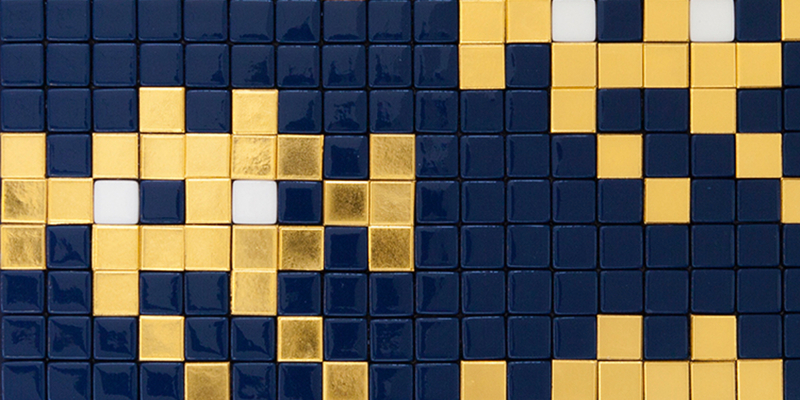 Like he did for all the previous invasion guides, Invader has created unique mosaic artworks for a limited number of copies of New Mosaics of Ravenna. The newest release of the 25 unique artwork covers is a celebration of Ravenna’s history and heritage. 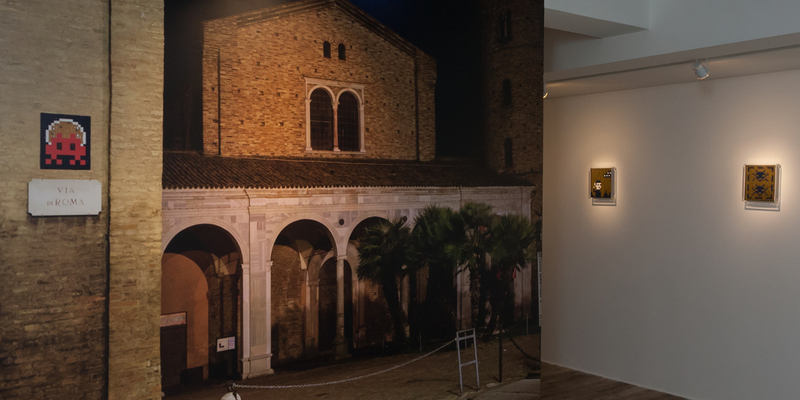 Featuring Invader’s recent works inspired by the context of Ravenna, the artworks endow historical motifs with new meanings and interpretations. Iconographies of early Byzantine art, his signature Space Invaders, and emblematic figures are rendered in shades of midnight blue, white, and gold, a shimmering reminiscence of the starry nights that adorn the vaults and domes of the city and the glittering colours of delicate embroidery reserved only for the Empress and Emperor, a notable subject matter in Invader’s newest oeuvre. 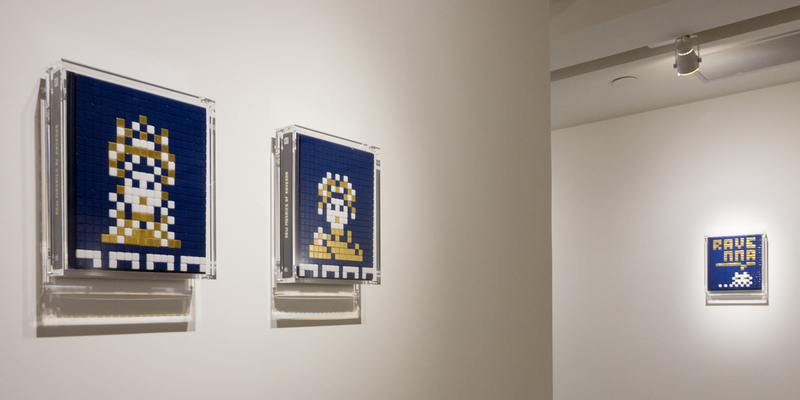 New Mosaics of Ravenna is a significant documentation of Invader’s forward-thinking aesthetic, using retro-futuristic 8-bit digital imagination that concurrently pays respect and tribute to the past.